I am loving my new Modcloth sweater dress. I mean, hello! It's rainbow! And long! Gahhhhh. It's simply amazing and I am so thrilled to have it. 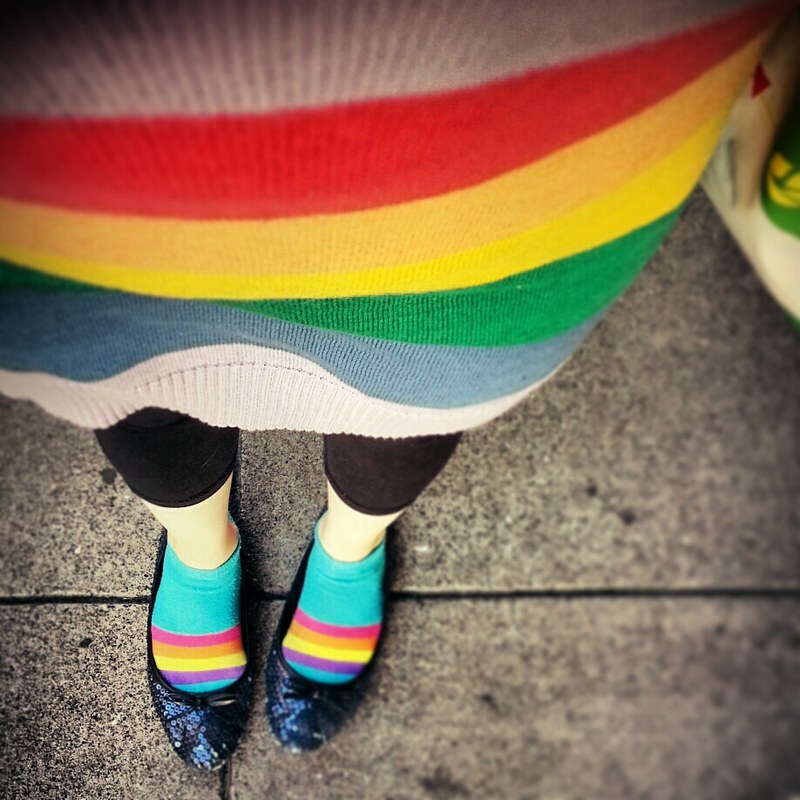 Today was the first time I wore it, and of course I wore it to work, because it's Tuesday and it's a very long day and we all need some rainbows in our lives, right? COLOR! The best part is that I already had these socks sitting around, and of course my Dorothy shoes that I adore so much from Forever 21 circa 2010. And ... my workout pants. Yep. I know. Terrible. See? I may look like a crayola truck overturned and burst into flames vaguely fashionable, but deep down I'm still the same Fashion Victim you know and love. Don't worry. I'm way too Ms. Frizzle to ever be put together.